The no-bake recipes saga continues, because I still don't have a functioning oven. A girl with a baking-blog and no oven... hmmm. It certainly makes you creative in finding recipes. I'm currently hooked on Bakerita's blog. Finally a good dessert/baking blog! Her recipes and photographs look amazing. And best of all, she makes wholesome treats, so a lot of the recipes are vegan and/or gluten-free. So it this one! Bakerita's original recipe called for almond butter, but she writes that you can easily substitute it for peanut butter. Almond butter in Europe is still very expensive: I pay 3,5 euros for a jar that's maybe ½ cup. And anyway, chocolate and peanut butter is my FAVORITE combination! 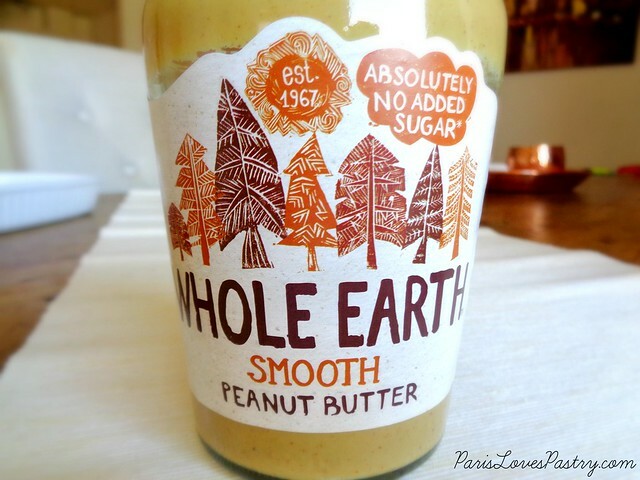 I found this amazing new peanut butter in my supermarket. It's from Whole Earth, and it has no added sugar. - Line a 8x8” pan with parchment paper and grease lightly with coconut oil; set aside. In a mixing bowl, stir together the almond butter, maple syrup, coconut flour, and coconut oil. Press evenly into the prepared pan. Place in the fridge. 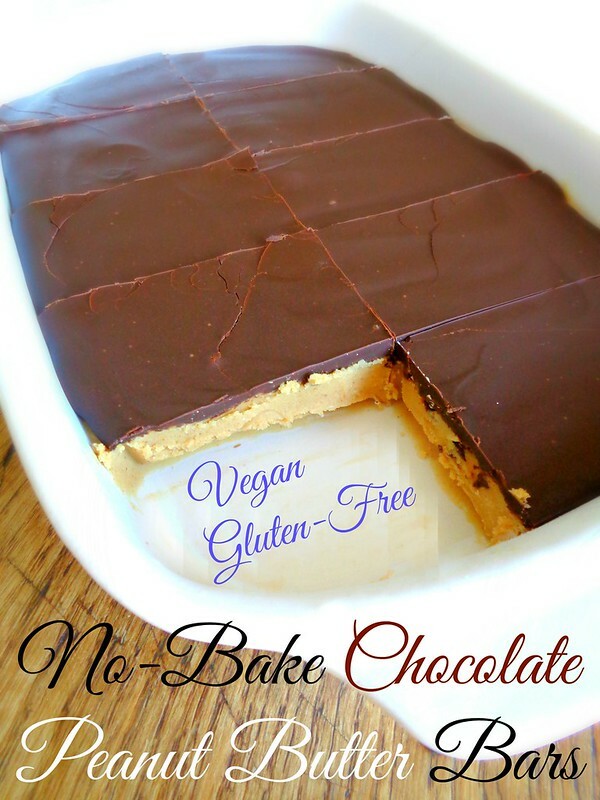 - Combine the dark chocolate and almond butter in a microwave-safe bowl. Microwave in 30 second increments, stirring between each, until the chocolate is melted and smooth. It took 1 minute in my microwave. Pour the chocolate over the almond butter base and spread to cover the top. Place back in the fridge. - Let firm up for at least two hours before cutting into 16 bars and serving. Store any leftovers in the refrigerator for up to 2 weeks tightly sealed. 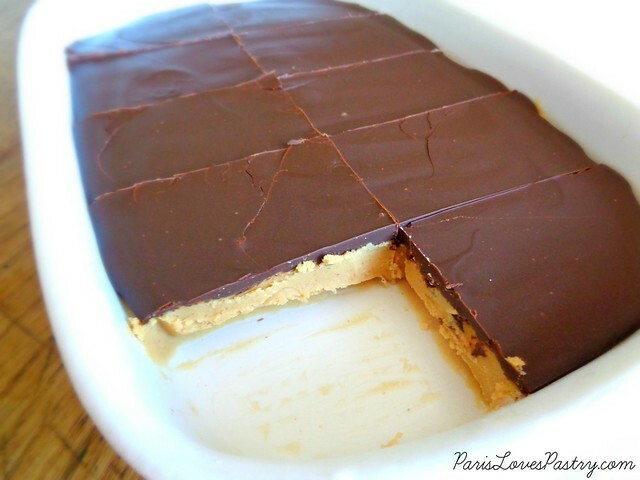 Really like your no-bake chocolate peanut butter bars. It so easy and my oven just spoiled. This is just right on time. Amazing!!! Yum, thank you for sharing!